On 12 May 2017 the joint contest organised by the educational TV channel English Club TV and Prime Tel (Cyprus) came to an end. The organisers asked the followers to LIKE, SHARE and COMMENT the post published on the official page of Prime Tel on Facebook. 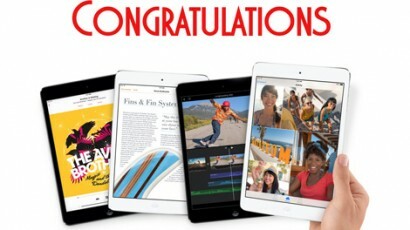 As a result, more than 1536 Shared, 670 Commented, 816 Liked the publication during the 2 weeks to win the main prize, iPad mini 2 Retina. 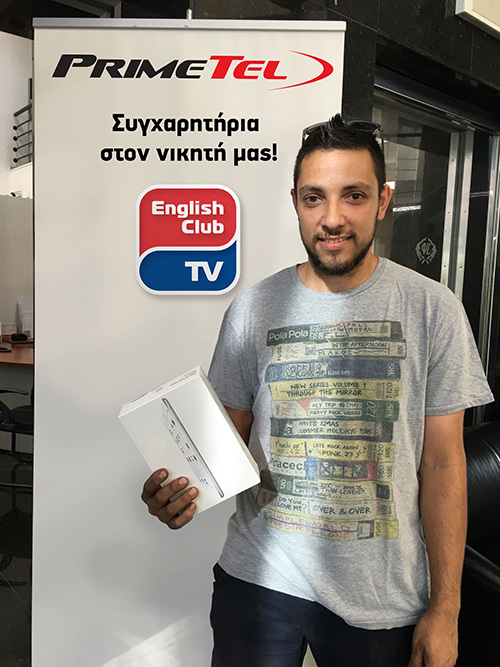 Andreas Sergidis from Limassol who won the main prize said that he had been very excited to take part and win the iPad and mentioned that he enjoyed watching movies with subtitles on English Club TV.